Running for over 20 seasons already, Fox’s popular animated comedy series “The Simpsons” shows no signs of wearing down or giving the town of Springfield reprieve. 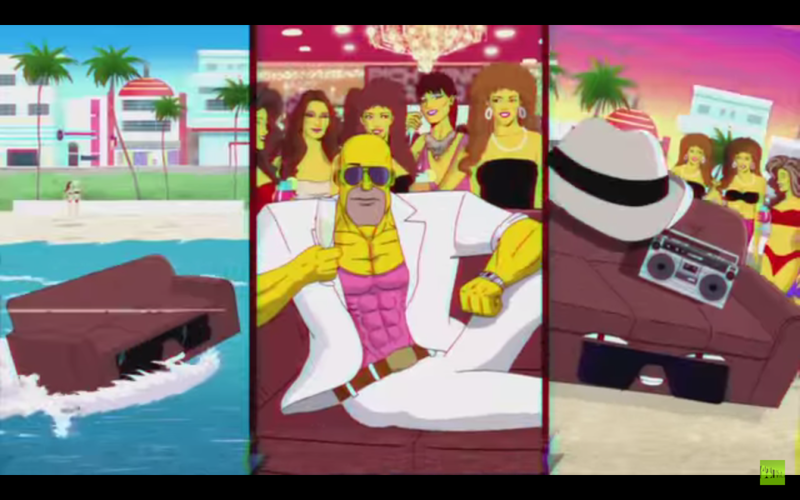 In fact, the antics of Homer J. Simpson and his family continue on with their traditional “before the episode” couch gags, which showcase just about any silly thing you can think about… Or maybe not with this latest minute-long extravaganza of an 80’s tribute that just screams Scarface, Miami Vice, Knight Rider, Laser Tag, and Grand Theft Auto Vice City! So you got Homer running to the couch to watch TV as usual. But instead of actually watching or doing something silly, he puts on a pair of sunglasses… And the fun begins from there. Yes that happened. 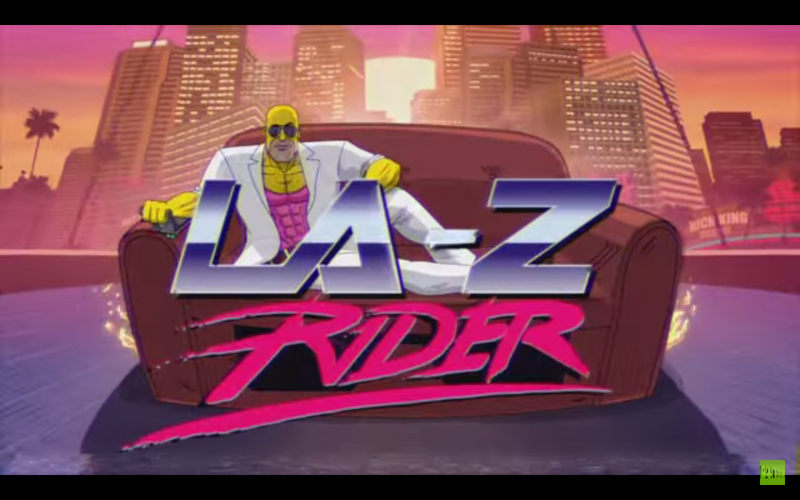 Homer as a buffed up cop hero with his couch, hunting down an equally buffed up criminal Ned Flanders, and all the 80’s jazz follow suit. It just makes seeing this upcoming January 10 intro for the episode this week all the more awesome.